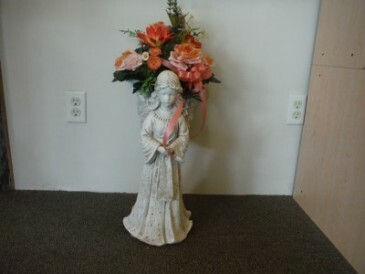 Concrete angel for garden or porch. 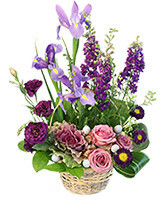 Basket on the back holds silk flowers, fresh flowers or potted plant. Also sold empty. A single rose bud vase with a white or brown bear will brighten anyone's day. 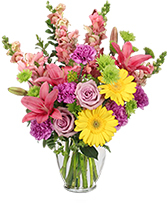 Bear is included in the price, call to add more flowers or a larger bear.